Revival by Stephen King, narrated by David Morse, is more subtle in its horror than previous novels, but King’s gift for weaving a complex story with dynamic characters shines through. Jamie Morton is a young boy in a small New England town who is wowed by the new minister, Charles Jacobs. Like any new, young couple who enters a small town, the Jacobs’ turn heads, with the young ladies fawning over the minister and the young lads gazing at his wife. When tragedy strikes, Jacobs shocks the small town with a final anti-religion speech that sends him packing, but even Morton cannot forget the minister’s passion or secret obsession with electricity. Morton, however, has his own path ahead, and much of it is spent in a drug-induced haze of rock n’ roll clubs and motels as a guitar player. While he feels like an amateur, he has enough talent to take him from band to band and earns enough money to keep his habit up. Morse does an excellent job with the narration, and he’s sufficiently creepy. What I found wonderful were the nods that King places to previous novels, such as Mr. Electrico in Joyland, inside Revival to provide a little extra umph to the idea of reviving or living again. King really has a handle on childhood and growing up in small towns, and the many superstitions that can be spread about among teens and their parents. Rumors often spread like wildfire, and in many ways, when those of us leave those small towns, we try to reinvent ourselves like Jacobs’ does. But the difference is that his obsession with revival becomes the only focus of his life, and in the process of pursuing the truth of life and death, he ruins the lives of others, drags Morton into the darkest of places, and ultimately, leads to a truth that can never be unseen. 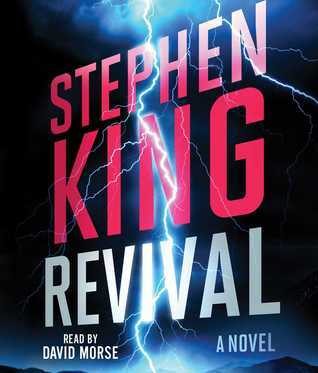 Revival by Stephen King, narrated by David Morse, is well told, and though slow in some places, weaves an incredible story that will have readers questioning reality and their faith. Glad you enjoyed it. Too bad it wasn’t scarier. I’m not so worried about scary here. This is not horror. This is much more realistic in terms of the scare factor. I enjoyed the kids and the small town life. King is so good at writing about small town life. I was a tiny bit let down with this one because King said it was his most terrifying book yet. I believe that is the case because of the drug addiction contained within the story. King was addicted to pain meds after that van hit that almost killed him. But scary and terrifying in a woo woo way? Nope. I think it is scary given how close it is to his own experiences, which in this case felt very real to me. I can imagine where that inspiration came from. Not as scary in a horror kind of way. King is a fantastic storyteller, that’s for sure! I’m glad you enjoyed this audiobook, Serena. 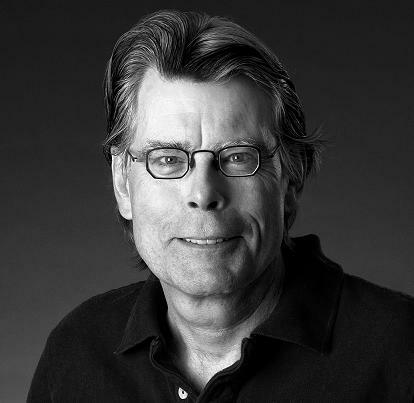 I’ve read several books by Stephen King, but it sounds like it would be a lot of fun to listen to one. Terrific, concise review!